Why is Grouting Applied in Stabilizing Foundation Soil? In various cases both from economy and practicability; where deep foundation cannot be adopted and as well excavation of entire problem soil or soft soil deposit is not possible, we, foundation engineers, look for stabilization of soil in improving its engineering properties. We have discussed earlier that there have many stabilization options like, cement stabilization, lime stabilization, bituminous stabilization, chemical stabilization and mechanical stabilization. 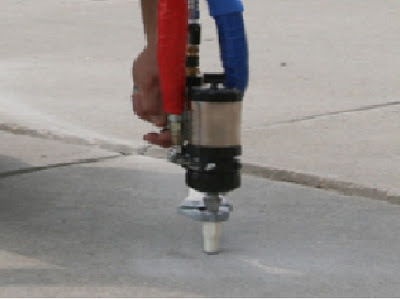 Stabilization with grouting is another method of stabilization in foundation engineering. 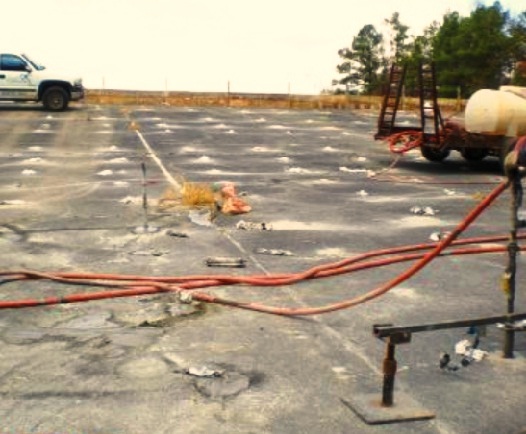 We have discussed a related term jet grouting and other grouting methods by injection to renovate slab-on-grade foundation and regaining its previous serviceability conditions. Here in this post we will discuss about suitability of grouting stabilization method. As discussed above, this process is done by injecting a stabilizer in pressure through the soil. The soil suitable for this stabilization is high permeable soil as the stabilizers are generally of high viscosity and injection pressure makes them reach this grout to the further end of pores. As clay soils have low permeability, naturally this method is not suitable for cohesive soils of less permeability. The stabilization method we discussed in previous posts, use more or less direct blending. But this method involves injection with pressure and grout viscosity and injection pressure are the design criteria to avoid grout loss. We have discussed about grout loss in our previous post. You can read this for more information. So this method is costlier than other stabilization methods. This method does not disturb the soil below much or almost zero. The projects where disturbance of soil to be stabilized, is not acceptable, this method is most suitable. Normal application is stabilization of soil enclosed by existing building like slab-on-grade. In stabilization of dam, that have underneath pervious stratum such method is suitable. valuable information you have shared.